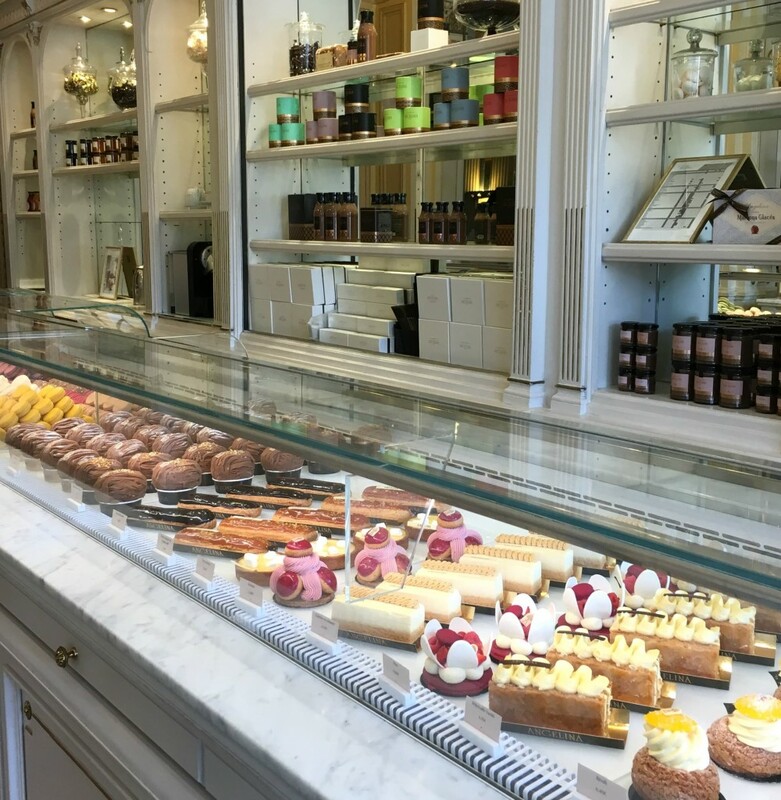 If it’s one thing Parisians do right, it’s their pastries, chocolate and baked goods. 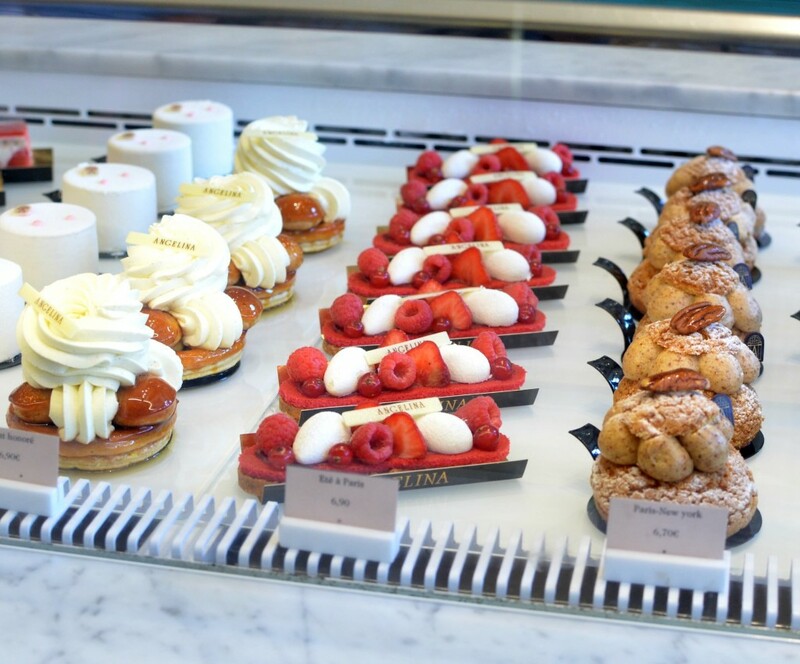 You can pretty much find a bakery on every corner, but that doesn’t mean they’re all created equally. 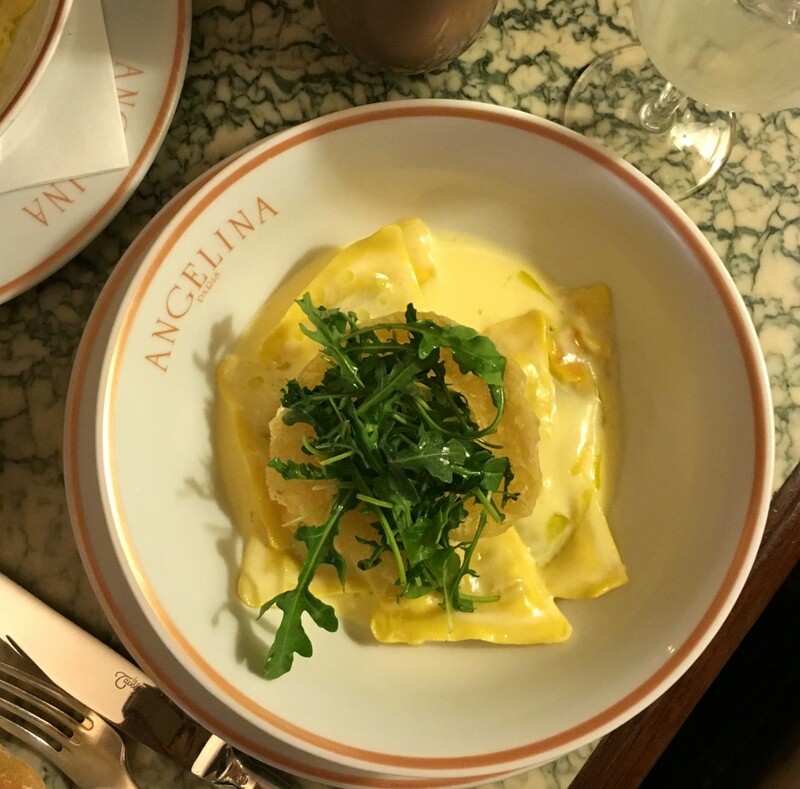 Since opening its door in 1903, the charming and elegant Angelina Paris has welcomed some of the world’s finest French designers, novelists and artists, including Coco Chanel and Proust. This romantic, calm and pleasurable teahouse offers both serenity and indulgence environment all under one roof. While you can expect to wait in long lines, let me tell you, it’s worth the wait. 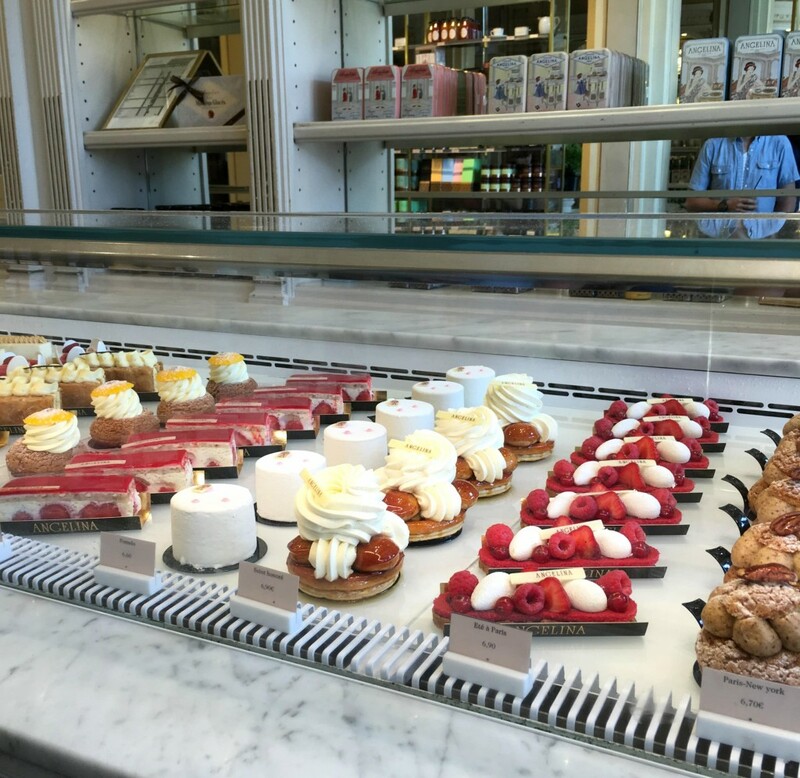 Upon first walking in, the entrance way seems to be bright, airy and modern and then as you turn to the right, you can see a large and beautiful display case showcasing all their decedent desserts and pastries of the day that will leave your mouth watering. 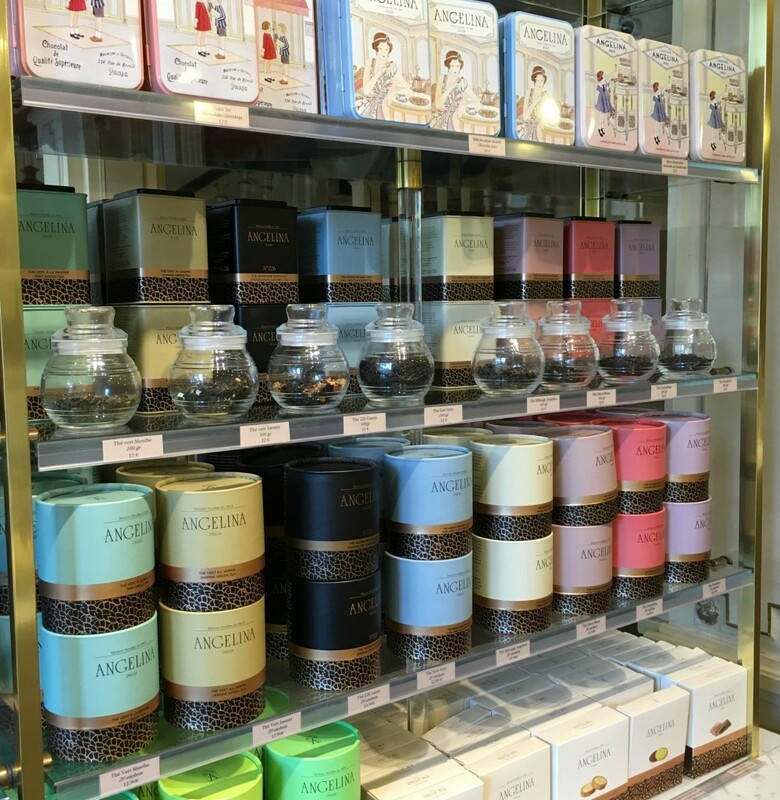 As you make your way to the back, it starts to feel more like a traditional and elegant teahouse. Although the seats are fairly close together, it still manages to feel like a tranquil place to chill and relax after a busy day of sightseeing. An array of stunning mirrors help to capture and bounce light off the refined marble tables and gives a larger than life feeling to the entire room. It’s quite charming and sophisticated, yet the colour themes against the white elegant wood gives a slight playful and relaxing feel to the space. We were lucky enough to get our own private romantic corner, and although this was quite dreamy and remote, there wasn’t a ton of natural light for photos (sorry about that). Hopefully my description of each dish will help capture just how delicious everything was. Known for their Hot Chocolate Africanus, made up of 3 cocoas of African origin, Niger, Ghana and Ivory Coast, it’s probably one of their most famous items on the menu. It was about 30 degrees when we were visiting, so we opted for the Iced Chocolate Frapp instead. Let me tell you, if it’s anything like the original hot chocolate, it’s every girl’s dream come true. 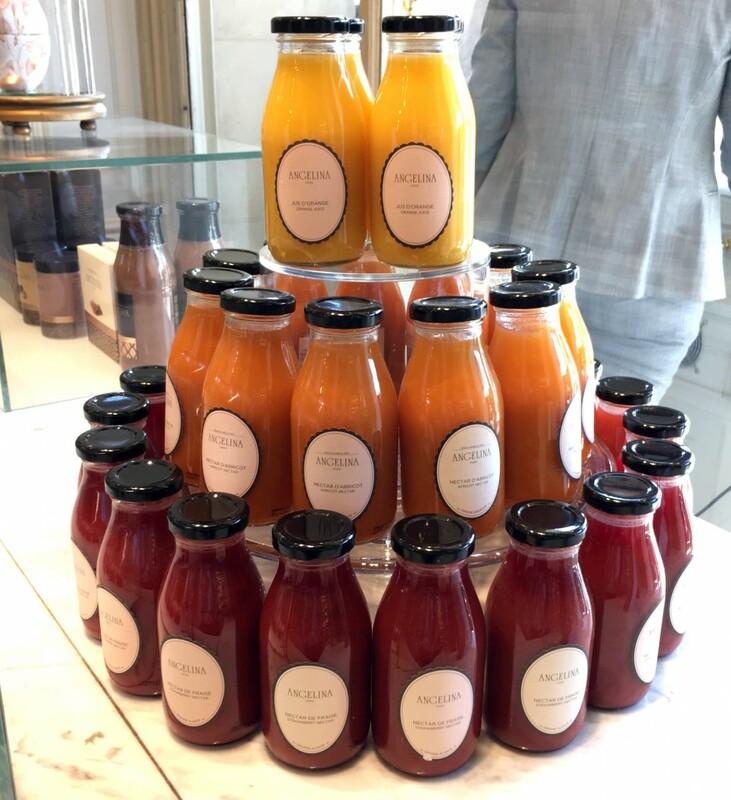 Rich, creamy, decedent, sweet, everything you’d expect in a gourmet chocolate drink and more. If I had to describe it in one word, it’d have to be… exceptional. For lunch we both decided on the Truffle Ravioli, although everything on the menu sounded amazing. 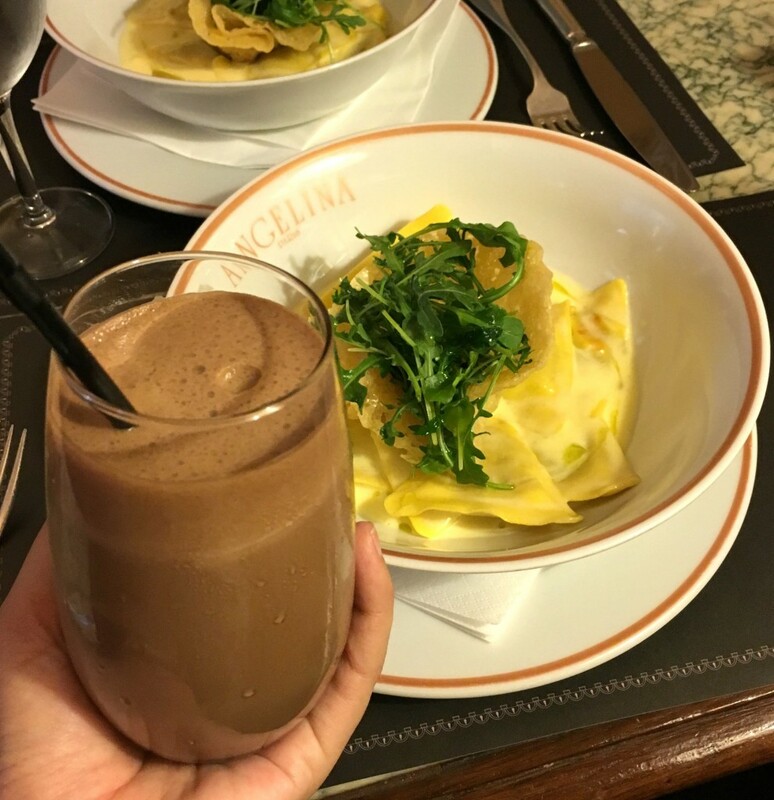 As soon as our dish was placed on the table in front of us, we immediately got a strong whiff of the truffle aroma that left our mouths watering. As you know, I’m not generally a huge fan of pasta, but these tiny jagged squares of pasta stuffed with cheese and truffle sauce was incredible. It had a rich, creamy, and almost velvety and light as air sauce topped with fresh parmesan and cream. 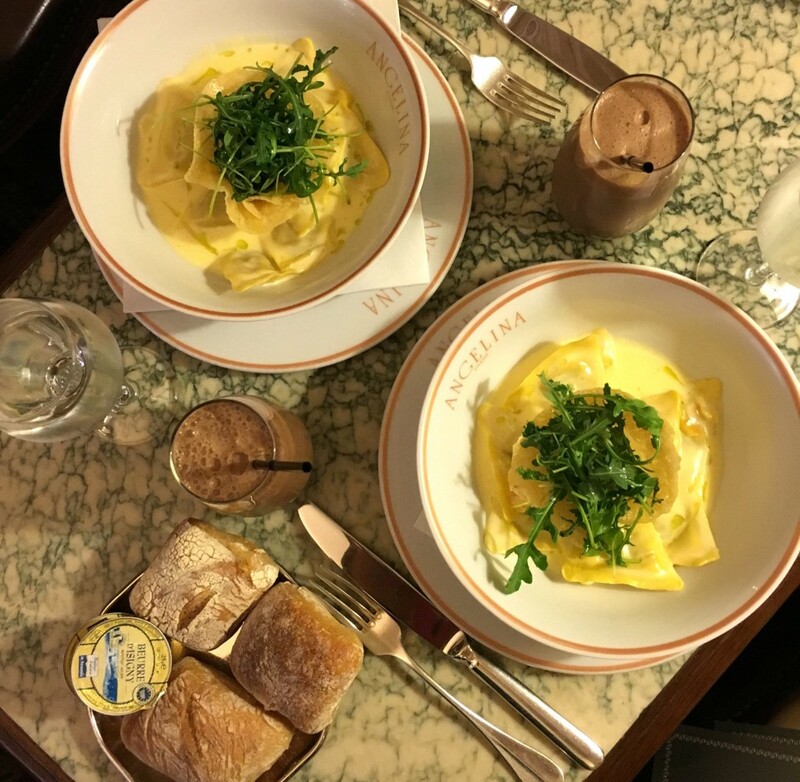 If you’re a lover of all things pasta and cheese, I highly suggest indulging in this pasta dish next time you’re in Paris. 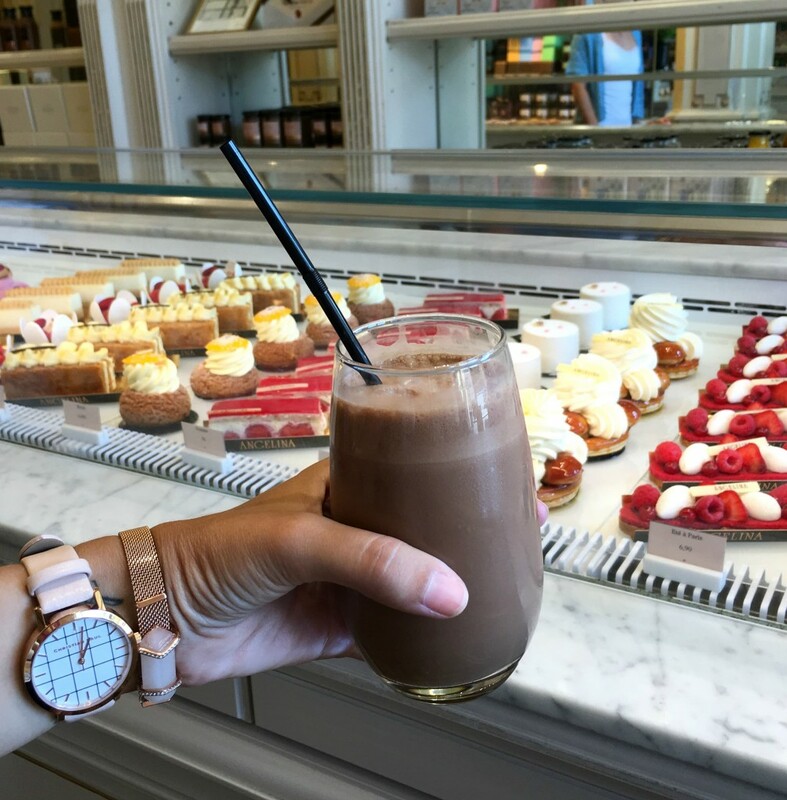 Although incredibly full from lunch, we felt we couldn’t leave without experiencing one of their famous pastries. Our server recommended the Sissi, a crunchy macaroon biscuit on the bottom followed by a light vanilla cream in the middle with a rich and creamy white chocolate petal on top of that. To finish it off, it’s topped with fresh red fruits and a raspberry heart. It’s the perfect balance between freshness, tart and sweetness. 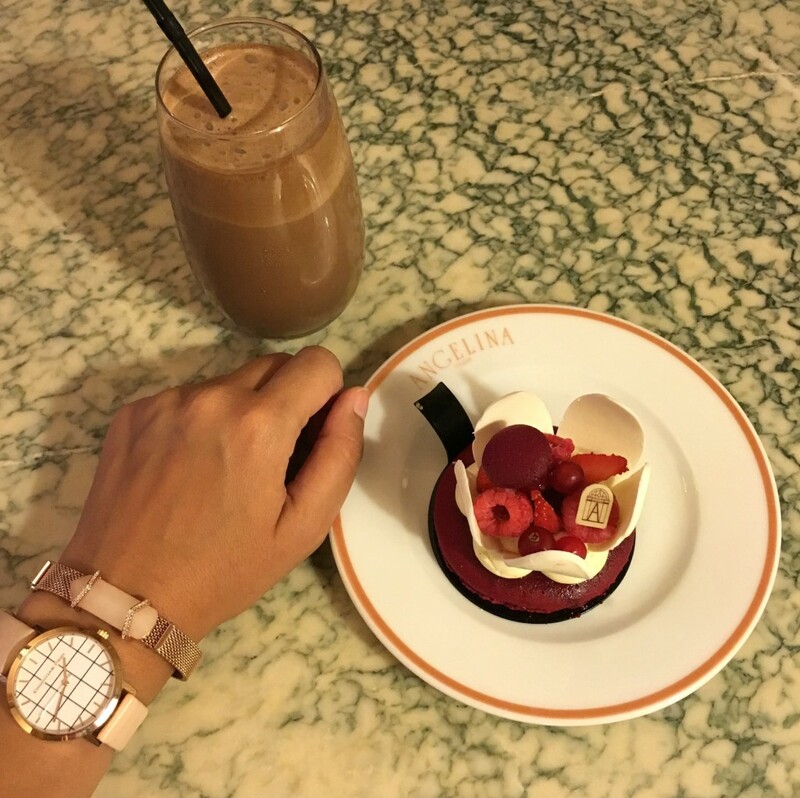 It’s the perfect elegant and delicious treat to finish off any meal. 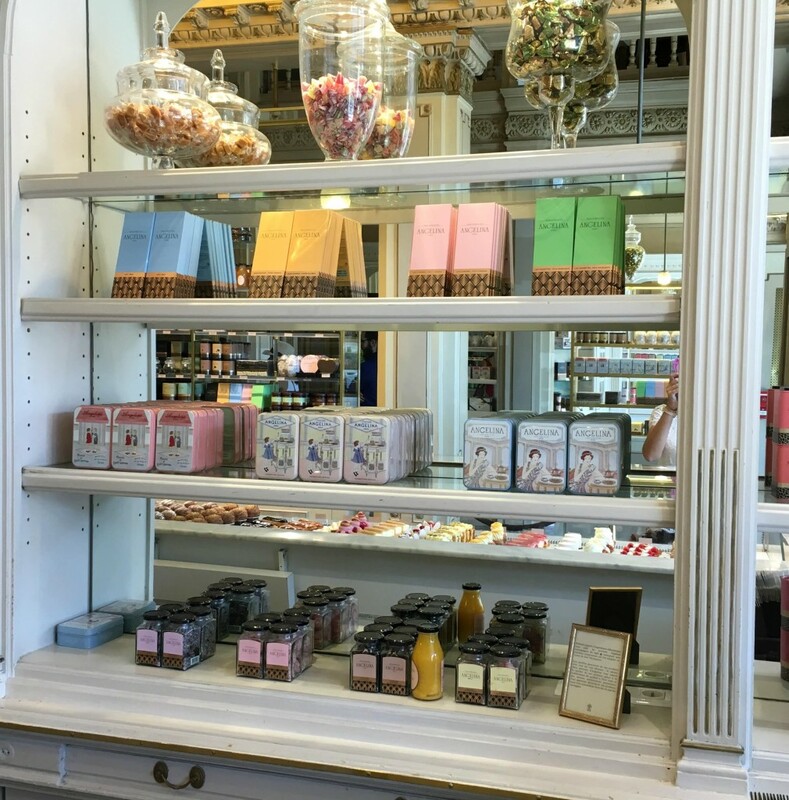 Next time you’re visiting Paris, I recommend taking a break from the Louver and shopping and grabbing at hot chocolate and a sweet treat at Angelina at 226 rue de Rivoli.